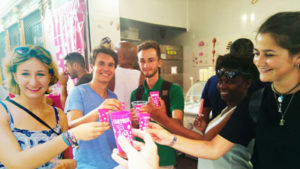 Learning Spanish is not just studying with a Spanish textbook, you also have to get a feel for the city, talk to Spanish people and get to know the culture and beautiful hidden places. By going on guided tours and doing fun activities with your class mates, you’ll be able to practice Spanish, fall in love with the city and you´ll want to come back again! 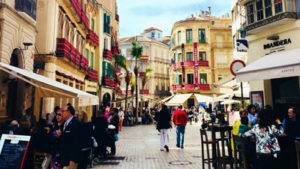 There is something to do for everyone: from exploring the history of the Andalusian city, to experiencing the modern-day culture and traditions of Spain. 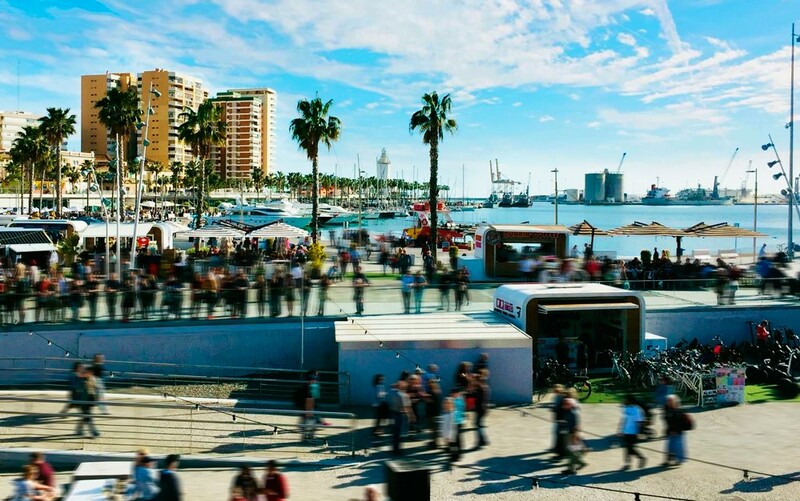 Make the most of your time with AIL Malaga and let us show you some of the best of what the city has to offer! Discover our beautiful city centre, with its beautiful buildings filled with soul and history. 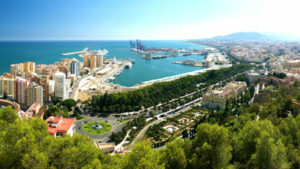 Wander through the charming streets and take in the rich architecture of Malaga. 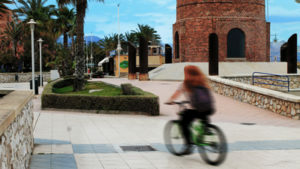 Enjoy the fresh air and sensation of cycling by the coast in Malaga. 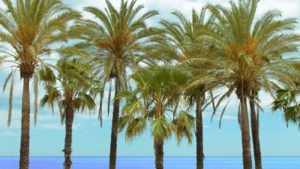 You will pass the “chiringuitos” – traditional seaside restaurants and tall palm trees. Explore the beach by bike! Walk with us to the best place to look at the entire city of Malaga at once: the famous Gibralfaro Castle. The views are like no other; almost all of Malaga’s landmarks can be seen from here, from the stunning harbour to the traditional bullring. Over 200 of Picasso’s works are on display at the museum. 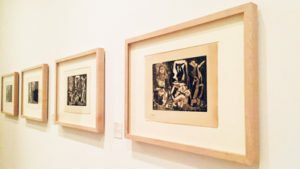 Picasso was born in Malaga, and here you can find a wide range of his works, and learn more about the best artist of the 20th century. 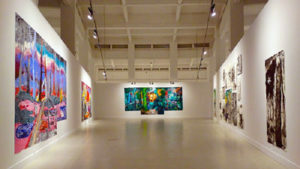 The Contemporary Art Centre in Malaga is home to some of the best modern artworks, but you will also find more traditional styles here too. Lose yourself for a few hours in the spacious rooms and enjoy the art! Another stunning place to take in the views of the city is at the Alcazaba. It is a fortress from the 11th century. 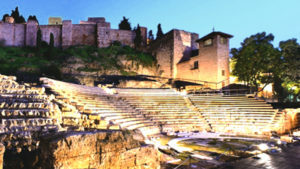 Learn about its fascinating history and architecture while you look over Malaga’s landscape. 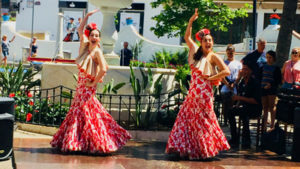 Probably one of Spain’s most famous traditions is the beautiful Flamenco dance and music. This is the perfect way to embrace the Andalusian culture and make the most of being in Malaga. ¡Olé! 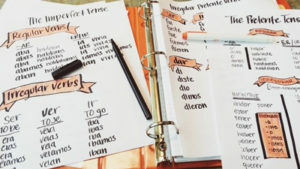 Take advantage of our workshop to perfect your skills with the language and become truly fluent in Spanish. It’s the little grammar tips that really show the difference between amateur and experienced speakers! ¡Baila baila! Learn the latin dance with us and discover a little more vocabulary too! Leave Spain with the power of dance as well as languages. 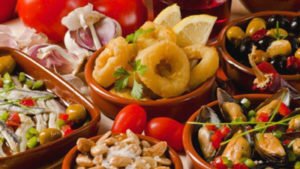 Learn how to make some of Spain’s most famous dishes! You may only be in Spain for a short time, but these recipes will stay with you for life! Our masterclass is the perfect way to discover more of the real Spanish culture. It wouldn’t be a trip to the Costa Del Sol without the beach! Just 10 minutes from the school is the Misericordia Beach, have fun in the sun and unwind by the sea. Just don’t forget your suncream and glasses! Get to know the other students, take a break and explore the side of Malaga which you don’t learn about in classes! A night out with everyone is a great way to have fun and make the most of your time here.